Yay! 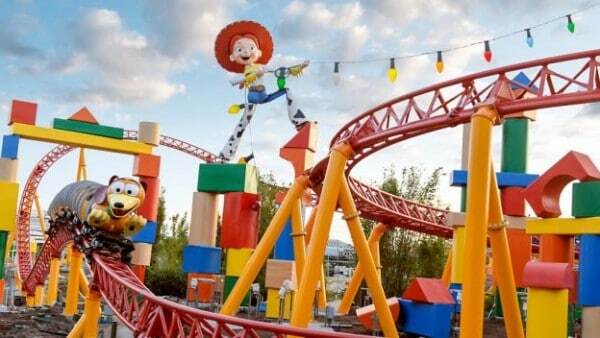 Toy Story Land Opens June 30th and looks AMAZING! Disney officially announced that Toy Story Land Opens June 30th at Hollywood Studios. Woohoo! While at Disney, we saw some sneak peek photos, models of the new attractions and we even saw the REAL ride cart for the Slinky Dog Dash roller coaster. Doesn’t it look awesome? Last month we were also able to meet up with a Disney Imagineer, Ryan Wineinger, to hear all about this absolutely fun & challenging project. Here’s some of his tidbits below and an interview clip. After meeting him, my son Kyle now wants to be a Disney Imagineer when he grows up. Love it! I am so grateful for all the cool opportunities Disney gave to my kids on this past conference as it really opens up their eyes to what is possible and encourages them to stay curious and dream big! 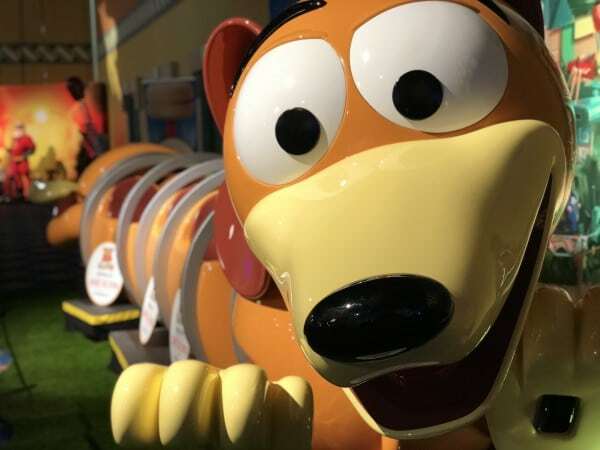 While at Disney, we saw some sneak peek photos, models of the rides and we even saw the REAL ride cart for the Slinky Dog Dash roller coaster. Doesn’t it look awesome? This new 11-acre land will transport guests into the adventurous outdoors of Andy’s backyard. Guests will think they’ve been shrunk to the size of Woody and Buzz as they are surrounded by oversized toys. 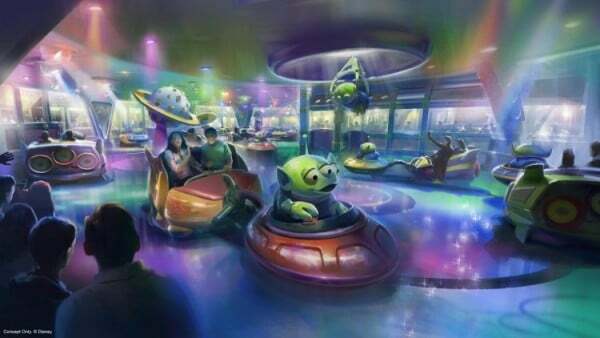 Guests will whoosh along on a family-friendly roller coaster, Slinky Dog Dash, take a spin aboard Alien Swirling Saucers. 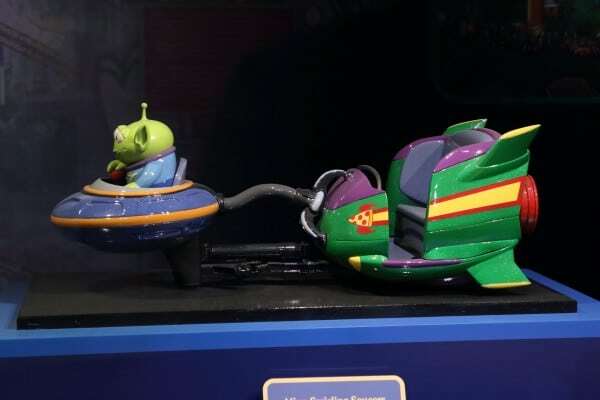 Here’s some more preview Toy Story images and models we saw when we chatted with the Disney Imagineer. You can get a feel for the layout of everything here. 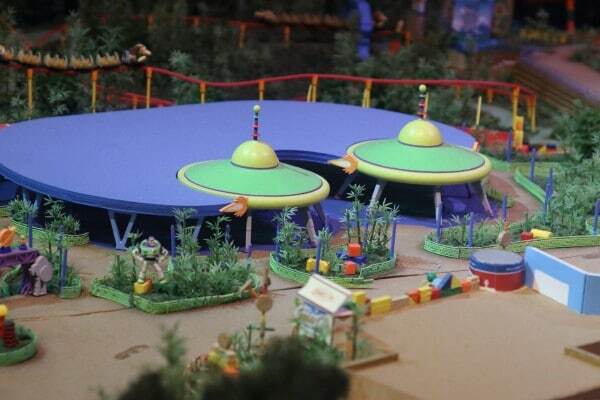 And if you are familiar with Hollywood Studios, essentially this new part of the park will be behind the existing Toy Story Mania as that ride will just fold into the new land. To the best of my understanding after chatting with the Imagineer, the Entrance to Toy Story Mania will kind of flip, and actually be inside Toy Story Land. When we visited, I could tell there was lots of changes in the current queue so I think I interpreted his explanation correctly. 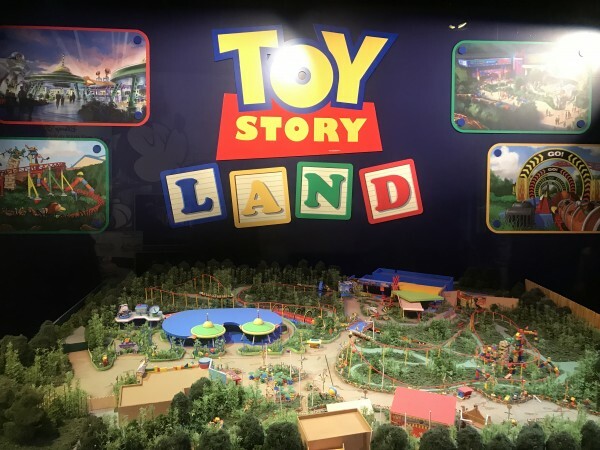 Ryan Wineinger shares some fun inside scoop on his experience imagining and building Toy Story Land. Here’s a clip of our interview with him at Hollywood Studios. Kyle is now aspiring to be a Disney Imagineer!